Heat oil in a pan, add cumin seed,onion & sauté few mins. Add sugar & allow to caramelize. Add ginger garlic paste, g.chillies, carrot,peas,sweetcorn & allow to cook. Add cooked rice & mix well. Garnish with cashew & raisin. yummy rice srikar never tried this will try.thank for the post. 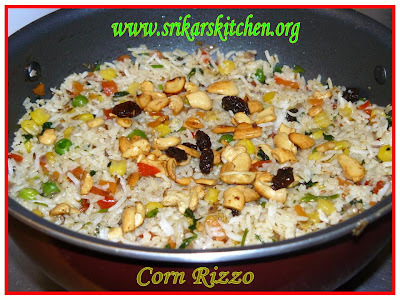 Simple and delicious rice, nice clicks too..
That's a wholesome meal. Lovely!!! 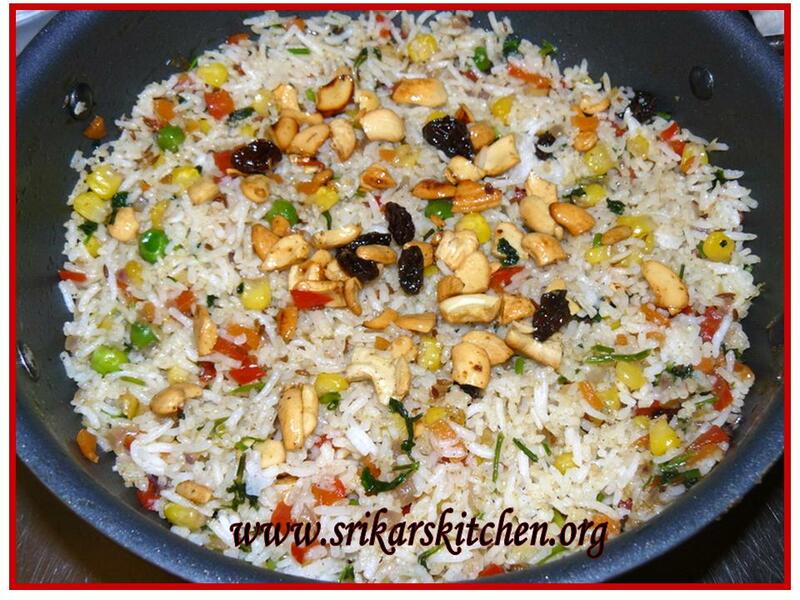 Rice looks colourful and awesome..lovely dish! The rice looks so colorful n yummy !! makes me hungry !! yummy and healthy.. thanks for sharing!! My dear you can serve me and my whole army this delectable rice.What can beat a rice medley like this? Absolutely nothing! Beautiful and delicous looking pulao. The rice looks so colourful and yummy!!!! oh what a delicious rice dish!